FAYETTEVILLE, Ark. – The Department of Management in the Sam M. Walton College of Business at the University of Arkansas was ranked 31st overall in research productivity in a study of U.S. and Canadian universities. The joint study by Texas A&M University and the University of Florida analyzed and ranked research productivity in the top management journals. 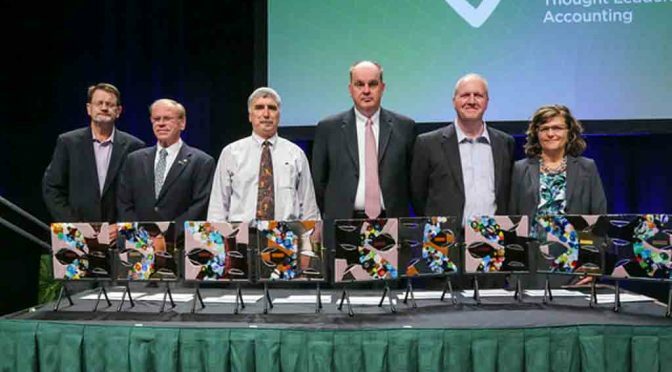 Vernon J. Richardson, the S. Robson Walton Chair and Distinguished Professor of Accounting, and four colleagues received the 2014 Accounting Horizons Best Paper Award at the 2014 American Accounting Association annual meeting. David E. Douglas, University Professor in the Department of Information Systems at the Sam M. Walton College of Business, recently participated in a big data keynote presentation at the European Decision Sciences Institute annual meeting held in Kolding, Denmark. Douglas presented alongside Ann Rosenberg and Charles Møller. Rosenberg is vice president for SAP University Alliances—Solution & Knowledge Packaging, SAP AG, and Møller is director of the Center for Industrial Production, Department of Business and Management, Aalborg University in Denmark. The presentation centered on the impact of big data and identifying resources available to academia in support of teaching and research. Douglas said both of these areas are critical for preparing the next generation of knowledge workers. Douglas provided an overview of the resources that Enterprise Systems at the University of Arkansas shares with world-wide external academic units. Enterprise Systems has four platform partners – IBM, Microsoft, SAP and Teradata. In addition, Enterprise Systems shares access to a number of large datasets including Acxiom, Dillard’s and Sam’s Club. Møller’s section of the presentation focused on the evolution of digital manufacturing and the big data it generates and the impact of that data. Rosenberg illustrated selected big data resources available from SAP University Alliances including “The Human Face of Big Data” and SAP’s University Alliances Innovation Lab at the University of Arkansas. Douglas and Paul Cronan, a Walton College professor who holds the M.D. Matthews Endowed Chair, proposed the presentation for the conference and invited Rosenberg and Møller to participate. Susan Sedberry, senior director of business insights at Crossmark, is the new managing director for the retail operations lab at Walton College. Sedberry also has held research and analytical positions with the Nielsen Co., Eli Lilly and Co. and Marsh Supermarkets, among others. The retail operations lab is part of the Center for Retailing Excellence and the Supply Chain Management Research Center in the Sam M. Walton College of Business at the University of Arkansas. Jason Campbell, human resource manager, has been named employee of the year by the Sam M. Walton College of Business. Campbell received the award after being named Walton College employee of the fourth quarter. Employee of the first quarter was Autumn Parker, second quarter Rosa Ainley and third quarter Sandra Cox. Walton College Dean Eli Jones presented the award. The other nominees for employee of the fourth quarter were Will Allred, Renee Clay, Carolyn Eiler, Sandy Kizer, Jennifer Quinton, Samantha Wilson and Scott Zemke. Winners of the award receive a certificate of appreciation and a cash prize. Honorees are chosen by Dean Jones, the associate deans, the assistant deans for undergraduate and graduate programs and the Walton College Staff Council. Read the Arkansas Newswire story here. Synetra Hughes is joining the Center for Retailing Excellence at the Sam M. Walton College of Business at the University of Arkansas as a program manager. With 10 years of experience in the retail/consumer packaged goods industry, Hughes has held positions in the supply chain, replenishment and retail analysis areas with Abbott Laboratories, Walmart and Sam’s Club. Most recently, Hughes worked for Kraft Foods in customer planning, forecasting and replenishment. Joseph A. Ziegler, 67, passed away on March 9, 2013, in Fayetteville. Joe was a Professor of Economics for 40 years in the Sam M. Walton College of Business at the University of Arkansas. He received a bachelor’s degree from St. Mary’s University in Minnesota and his Ph.D. from Notre Dame. After two years on the faculty of Clemson University, he joined the University of Arkansas faculty in 1973. Joe, “Z” to his friends, served as chair of the Department of Economics for 22 years from 1987 to 2009. His years as department chair were marked by a dramatic increase in the department’s national and international reputation. During that time he also served as Director of International Business Studies in the Walton College and pioneered major expansions of the college’s study abroad programs and international partnerships. He led the development of the Bachelor of Science in International Business degree. In 2010, he led the consolidation of business international programs as director of the Walton College Global Engagement Office. The global education that Walton College students will receive for years to come is Joe Ziegler’s professional legacy. Until he was disabled in a bicycle accident in 2008, Z enjoyed running, hiking, canoeing, cycling, softball and water volleyball. He was a founding member and more than 20-year participant on the Dismal Sciences intramural softball team. For years, he and friends formed a relay team for the Hogeye Marathon and arranged their teaching schedules to allow for a noontime run. He was an original participant and served as the 3rd Admiral of the Walton College Dead Day Float canoeing trip on the Buffalo River. The “leave on Mother’s Day” trips to the Grand Canyon that he organized with four of his best friends became legendary – and resulted in their wives acquiring nice collections of turquoise jewelry. 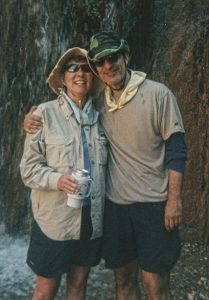 He brought his family to nearly all the U.S. national parks and many countries overseas. Sunday afternoon water volleyball at their close friends’ home, Bill and Jackie Curington’s, was not complete without Joe cannonballing into the pool. 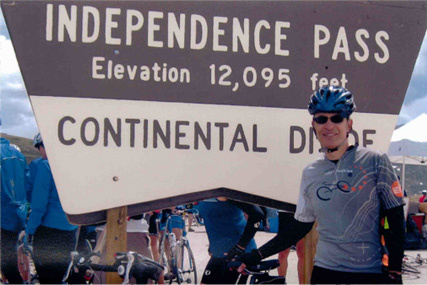 After giving up running to save his knees, he twice completed the “Ride the Rockies” bicycle tour of Colorado. On his last bicycle ride he was training for a third go at the Rockies. Now, freed from his wheelchair, Z is probably having trouble deciding which of these favorite activities to do first. “Thanksgiving at the Ziegler’s” became an institution for the families of many of his friends. Many friends tell stories of their children objecting if there was a possibility that visiting relatives might keep them from going. So, those visiting relatives were welcomed with open arms by Joe and Ann Marie. The Thanksgiving guest list would often swell to 40 or more but everyone felt like they were special guests. It was like Thanksgiving with your favorite aunt and uncle. Joe and Ann Marie were high school sweethearts and were married for 45 wonderful years. They shared the joy of seeing their two children, Kathleen and Michael, grow up and start their own families. To his immediate family, Joe frequently found ways to “build moral fiber” among the clan, especially on vacations, including: camping in Death Valley over Christmas and enjoying the scenic yet uninsulated “Rough Rider” cabins in Yellowstone. He was as young in spirit as his kids and launched the mantra “Spin Til You Puke” on the Mad Hatter Teacup Ride in Walt Disney World and frequently led (and won) belching contests with them; he was also known for his unique articulations of certain words, such as pronouncing “boutique”, boo-tee-q and “jalapenos”, jah-lah-puh-nos. One of his most prized possessions was a 1969 Oldsmobile Cutlass, aka “Da Plum.” Although he finally had to relinquish her, a few shiny hubcaps still hang in the garage. Z didn’t have a single “best friend”; he had many. They can all tell a story of a time that, with a sly grin, Joe would quite reasonably encourage them to do something they knew would get them in trouble. Somehow it always seemed reasonable if you just listened to Joe. Joe was the son of the late Joseph J. Ziegler and Sophie Podraza Ziegler of Chicago. He is survived by his wife, Ann Marie Ziegler, his brother Norb Ziegler, and two children and their families: daughter Kathleen Ziegler, her husband Todd Piotrowski, and grandson Milo Piotrowski of New York and son Michael Ziegler and his wife Gracie Terrell Ziegler of Fayetteville. Rosary will be at 5:30 p.m. on Tuesday, March 12, followed by visitation from 6 to 8 p.m. at Nelson’s Funeral Home in Fayetteville. 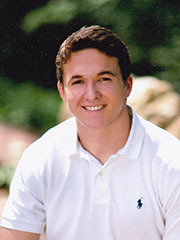 The funeral mass will be celebrated at 11 a.m. on Wednesday, March 13, at St. Joseph’s Catholic Church in Fayetteville. In lieu of flowers, family and friends can honor Joe’s legacy by making a contribution to the Joe Ziegler Study Abroad Scholarship. Gifts can be sent to the University of Arkansas Foundation, 535 Research Center Blvd., Ste. 120, Fayetteville, AR 72701 or give online at https://onlinegiving.uark.edu/. If you would like to share a story about Joe Z, please email it to storiesofjoez@gmail.com. The stories will be compiled and shared to continue the celebration of Joe’s life.